I love making bread. 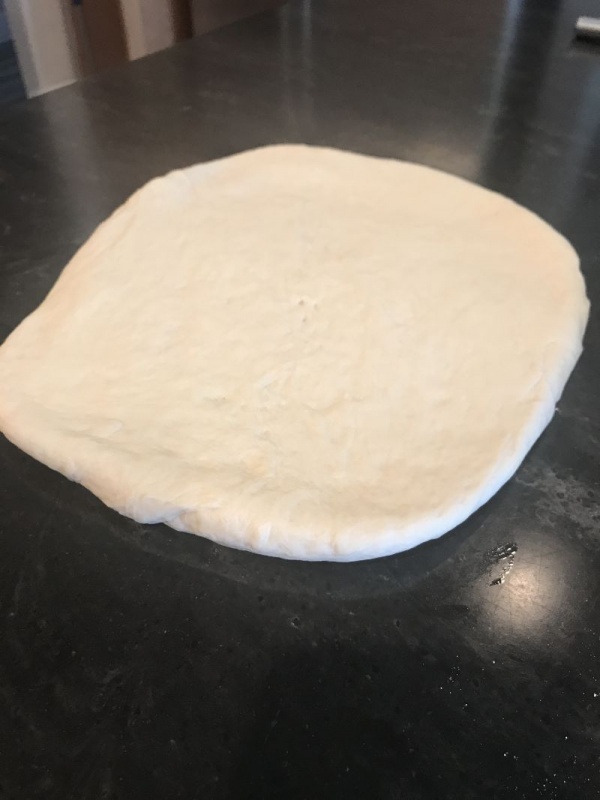 There is something so satisfying about kneading that soft dough until it is smooth and elastic. And the smell that fills the house when it is baking is enough to have me hovering near the oven just so I can cut off the first “end” piece and slather it in butter. There isn’t much better than homemade bread. One of the breads I love to make is French bread. I used to be very intimidated by it until a friend shared an easy recipe with me many years ago. The recipe I am going to share with you today is nearly goof-proof and only requires 6 ingredients. You can knead it by hand, or you can use a KitchenAid to knead it. It turns out the same either way. The bread is soft and fluffy, with that delicious French bread texture I just love! 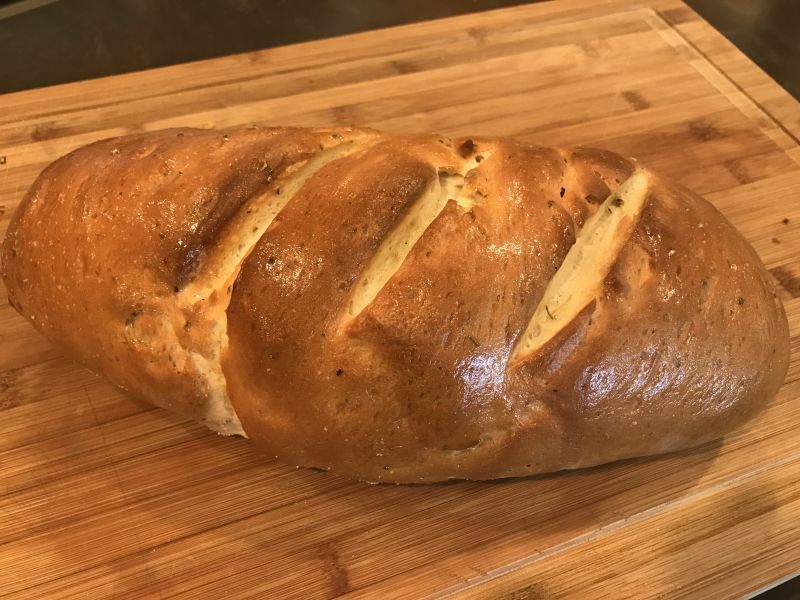 The recipe doubles easily if you want to make 2 loaves, and it’s a wonderful recipe to make with your children and introduce them to the joy of bread making! French bread costs anywhere from $3 to $5 at the store, and you can make this for pennies a loaf. One of the ways I save money is to purchase my yeast in bulk. I buy a large vacuum-packed bag at Costco, and I keep it in the freezer. The yeast I have in the freezer right now is over 5 years old and still bubbles up beautifully when I proof it. 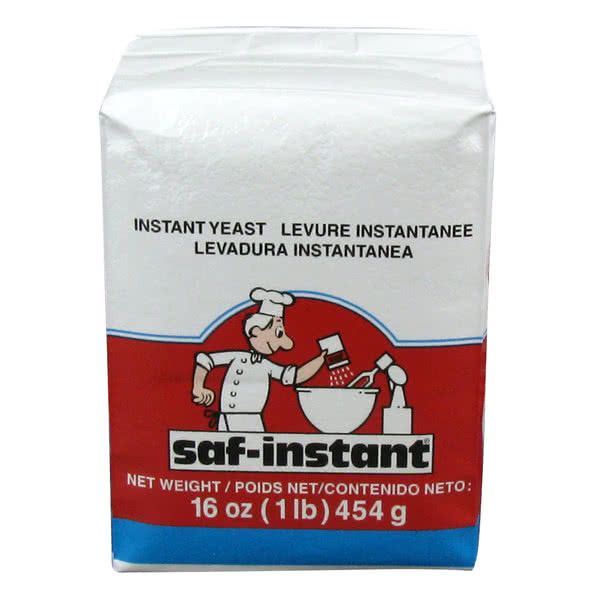 For the price of 4 yeast packets, I purchased a large bag of bulk yeast! Plus, keeping it in the freezer means my yeast doesn’t expire or “die” like it does when you keep those packets in the refrigerator. 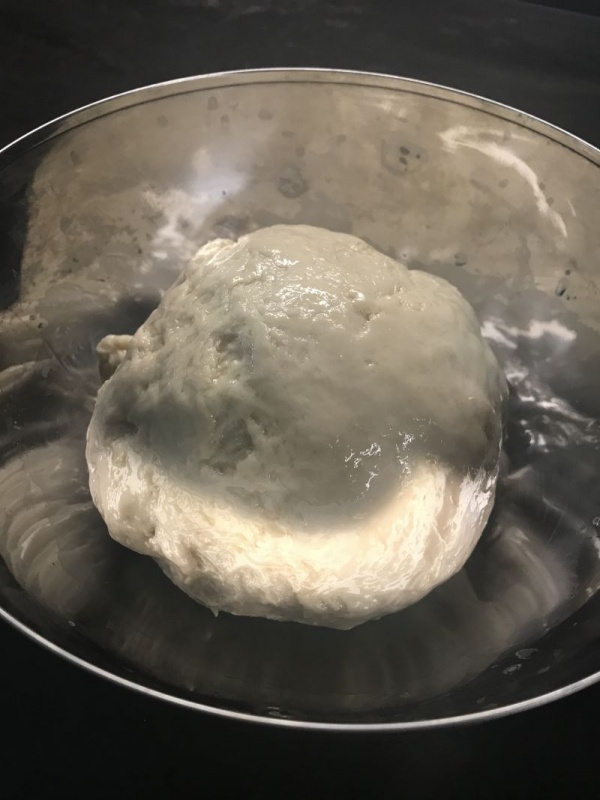 When you make bread, the temperature of the water is very important. If it is too cold, the yeast will not grow. If it is too hot, the yeast will die. Always use a thermometer to check your water. Once you make lots and lots of bread, you will be able to check it with your finger. The water will be hot, but not too hot to keep your finger in it. Like I said, in the beginning, always use a thermometer. 2 TBSP vegetable or olive oil + 1 TBSP to coat the bowl. 1. In a large bowl, mix the water and sugar together. 2. Add the yeast and stir. Then allow it to set for 5-10 minutes. If your water wasn’t too hot or too cold, the yeast will grow and foam on top of the water/sugar mixture. The yeast uses the sugar as food, and you should end up with a tan colored foam in the bowl. If you don’t get a foamy result, start over. Either your yeast was dead already, or your water was too hot or cold. 3. Add the oil, salt and 1-1/2 cups of flour. Mix well. 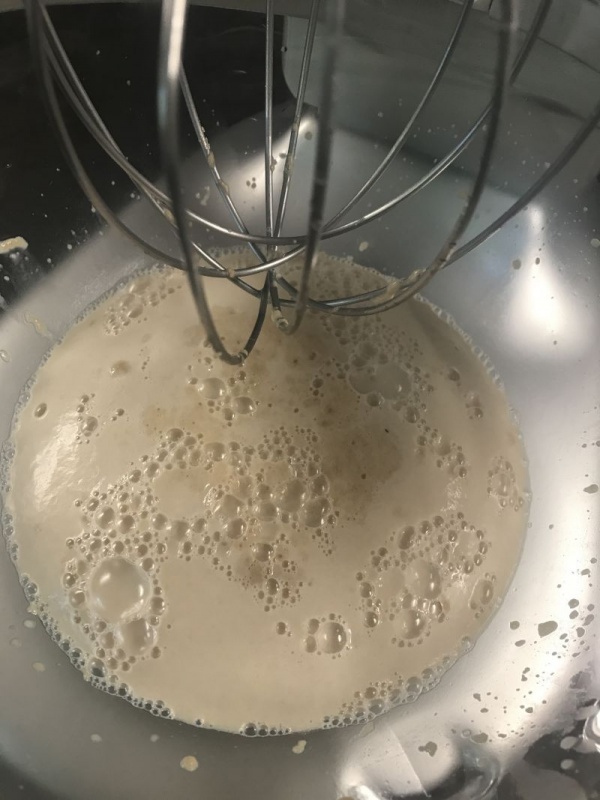 If using a kitchen aid mixer, after it is mixed together change to a dough hook. 4. 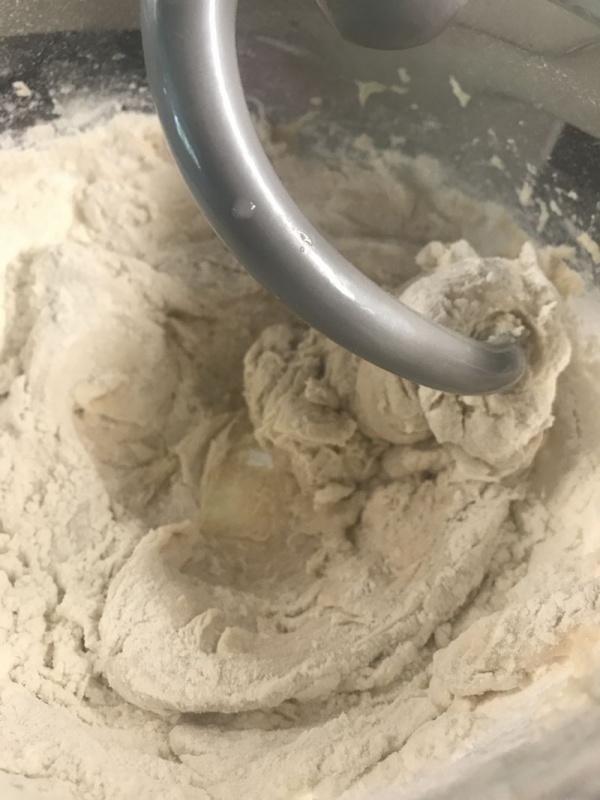 Add the rest of the flour, a little at a time, and mix together. 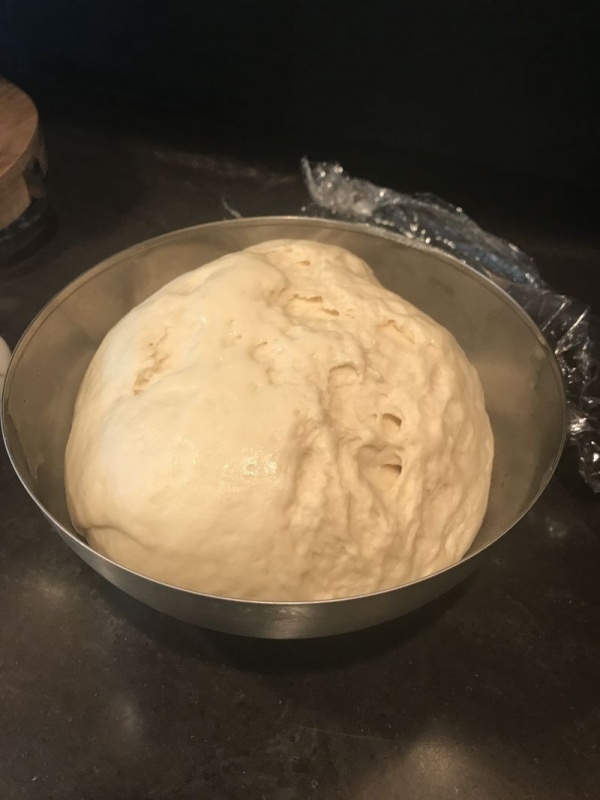 If you aren’t using a dough hook with a mixer, just use a large spoon. If it is a little dry, you can add a TBSP of water. 5. 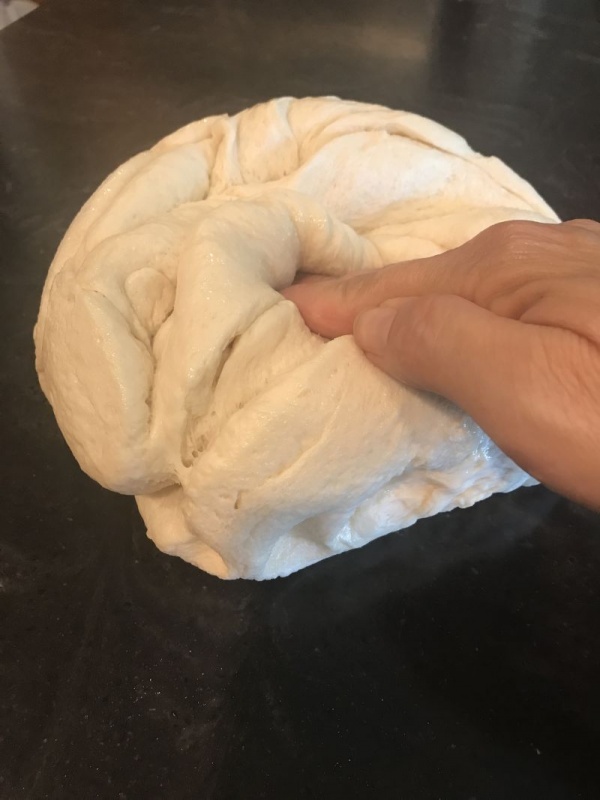 Knead for 5-8 minutes, or until smooth and elastic. 8. Remove from the bowl and flatten it out on your counter or cutting board into a roughly rectangle shape. 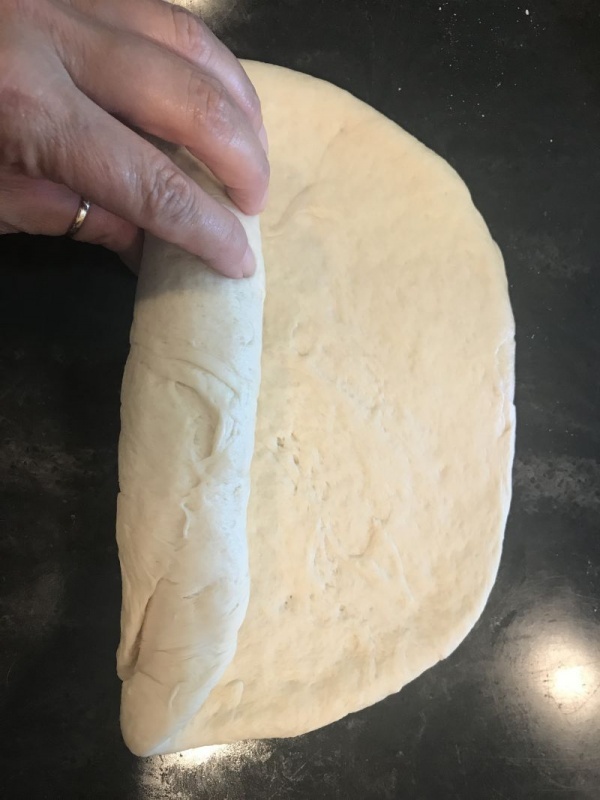 Roll the dough along the long edge, as if you were making cinnamon rolls. Make sure to pinch the ends of the loaf together. 9. Place on a greased baking sheet (sprinkle the greased baking sheet with some cornmeal if you have it). 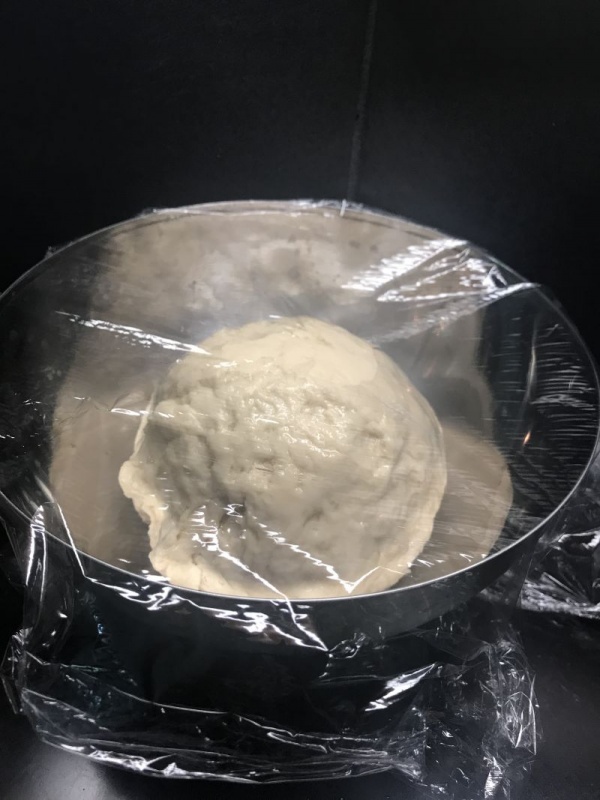 Cover loosely with plastic wrap and allow to rise for nearly and hour. 11. Bake at 375 degrees for 25 minutes. **if you want a soft crust, brush with melted butter as soon as it comes out of the oven. ***if you want a crunchy crust, brush with an egg white whipped together with 2 tsp of water prior to baking. Use a serrated bread knife to cut this, and enjoy homemade French bread with your next dinner! Save any leftovers to make French toast in the morning, and your family will be amazed! Better yet, make sure you make a double batch so you have plenty! 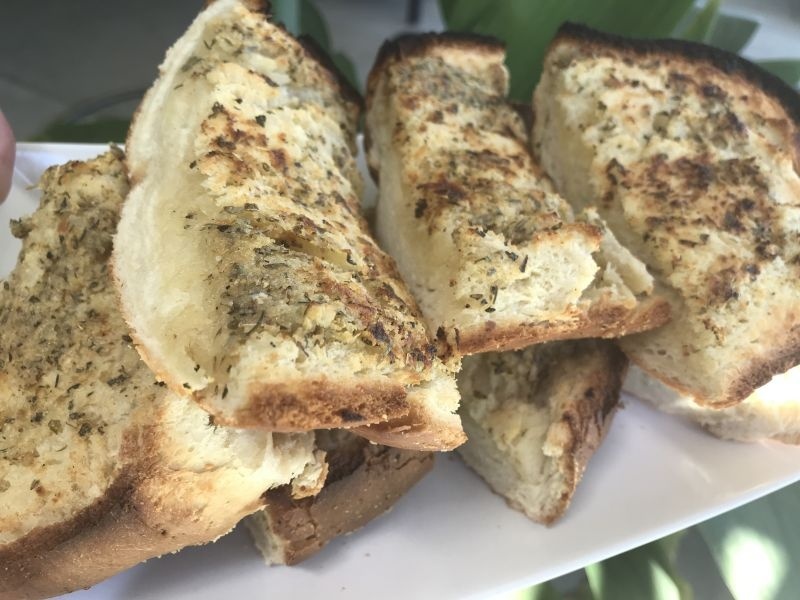 As you can see in the pictures, we made ours into garlic bread to accompany our spaghetti dinner. It was fantastic! I love French Bread. I actually make bread quite often. We still have a bread machine! LOL, but I’m going to try this recipe! Isn’t bread making fun! 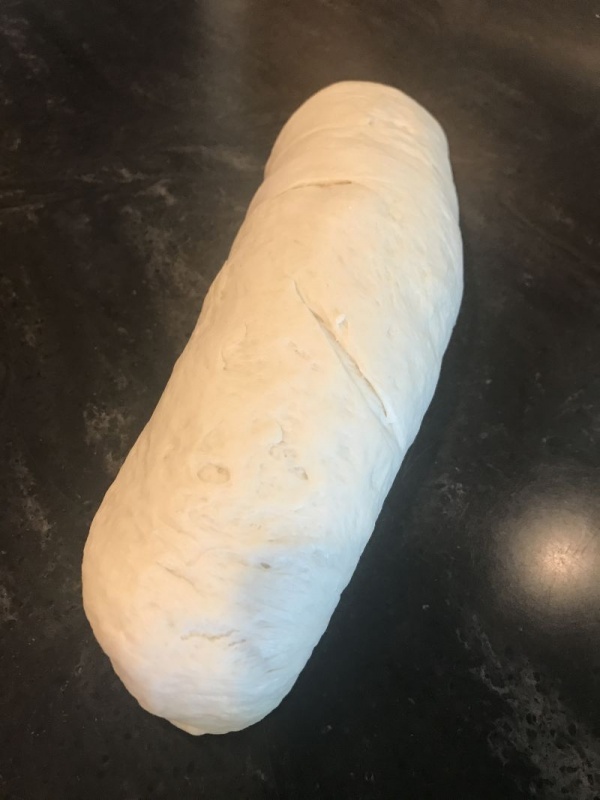 I always thought French bread was intimidating, but this recipe always turns out perfect! Let us know how yours turns out! !